Electronic countermeasures (ECM), also known as electronic attack, is a component of electronic warfare (EW), the use or control of electromagnetic energy either in defense, or for the purposes of a military attack on an enemy. Its counterpart is electronic protection or electronic counter-countermeasures (ECCM)—efforts or equipment directed toward the protection of persons or material from the effects of electronic warfare. Exemplary of electronic countermeasure technology are the systems developed by Bell Helicopter Textron for the U.S. Air Force, tested in the fall of 2002. The CV-22 Osprey tiltrotor, converted from a V-22, was intended for deployment with Air Force Special Operations Command, which has a specialty in low-altitude force insertions under day or night conditions. The aircraft's suite of integrated radio frequency countermeasures includes technology for threat location and radar jamming. 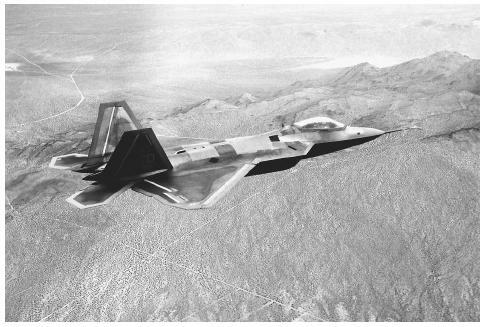 The Air Force subjected the aircraft to three months' worth of testing suspended in an anechoic chamber, which simulates an ECM environment. The U.S. deployment to Iraq in 2003 tested capabilities both in ECM and ECCM. The relative sophistication of Iraqi electronic systems, built by Western-trained engineers and mathematicians, provided a special challenge to planners. Prior to the commencement of the campaign, Army chief of intelligence Lt. Gen. Robert W. Noonan told Aviation Week & Space Technology that in the event of war, "one of the first objectives would be to disrupt local fiber-optic networks, and thus, force the Iraqis to rely on less state-of-the-art communication technologies." Chrzanowski, Edward J. Active Radar Electronic Countermeasures. Norwood, MA: Artech House, 1990. Lothes, Robert N., Michael B. Szymanski, and Richard G. Wiley. Radar Vulnerability to Jamming. Boston: Artech House, 1990. Phillips, Edward H. "USAF Testing CV-22 Countermeasures." Aviation Week & Space Technology 157, no. 15 (October 7, 2002): 59. Wall, Robert. "Intelligence Support Seen Crucial to U.N." Aviation Week & Space Technology 157, no. 17 (October 21, 2002): 30.